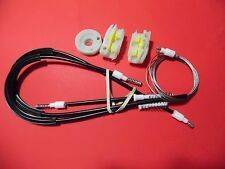 Part Type Window Regulator. 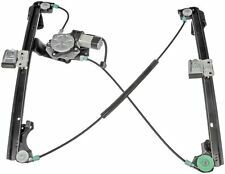 Window Regulator is featured in the above photos to ensure accurate part ordering. Failure to do so can result in your receiving the incorrect part. (Ex: Sedan or Coupe, Manual or Power, Front Door or Rear Door, etc.). 12 MONTH PROVEN WARRANTY! FREE AND FAST SHIPPING! 1997-2006 Land Rover Freelander 3/5. 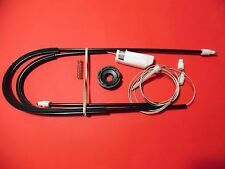 Door Tailgate Window Regulator Repair Kit. Modifying an item in any way will void the warranty. We only warranty the cost of parts. Confirm the item(s) will install and operate properly before use or modification. 1997-2006 Land Rover Freelander. Right Heavy Duty Front Window Regulator Kit. Modifying an item in any way will void the warranty. We only warranty the cost of parts. Confirm the item(s) will install and operate properly before use or modification. 2002-2006 Land Rover Freelander. 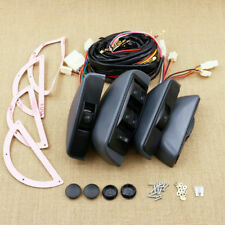 Tailgate Window Regulator Motor Inner Gear With Roller. Modifying an item in any way will void the warranty. We only warranty the cost of parts. Confirm the item(s) will install and operate properly before use or modification. MODEL: Freelander TRANSMISSION: Automatic. MAKE: Land Rover INTERIOR: Gray-Q. YEAR: 2002 EXTERIOR: White-603. High Quality OEM Used Parts. not fit or work in your vehicle, we must ask you for a digital picture (of the part installed) and your vehicle's VIN number so we can properly assist you. This is the left front (driver side) window regulator for any Land Rover Freelander from 02-05. This one is in great shape. The motor runs quietly and the regulator runs smoothly. The wire connections is clean and not corroded.